Take a peak at our entire collection of Personalized T-Shirts. 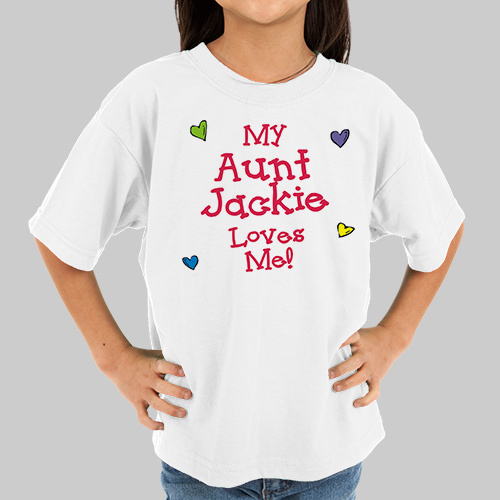 Our Personalized T-shirts are perfect for Christmas, First Communions, Family Reunions, Holiday Parties & Birthdays. Create a custom T-shirt for someone in your family today. Your niece, nephew, daughter or son will love this wonderful t-shirt which you have personalized just for them.